Car wax. Every car needs it, but many of us don’t use it nearly enough. Wax protects your paintwork from all sorts of nasties, including dirt, grime, bugs, tar, abrasion, swirl marks and rust. It also helps you get that showroom shine, and regular coats will keep your car looking like new for longer. Whether you’re new to driving or have a new car and want to look after it better than your old one, our beginner’s guide to wax gives you the lowdown on waxing your car – from which type of wax to use to tips on applying it. Jump straight into the guide or use the links below to find what you need. When buying car wax it’s easy to go for the cheapest option on the shelf, or the one that takes the least amount of time to apply. But did you know that different waxes are designed for different jobs, and the one you choose will impact the overall finish. Take the Simoniz range of waxes. We have five wax-based products for different applications and each offers its own benefits – from increased durability to easier application. One thing to remember about wax is the more effort that’s needed to apply it, the more durable the wax will be and the fewer applications needed each year. To put this into perspective, take a look at our useful diagram below. So, while applying Original Wax may take longer, you only need to reapply twice a year – so it could save you time in the long run. But there are other factors besides time and convenience that you need to think about when choosing wax. Take a look at the waxing products we’d recommend for different car types and situations below. If you love taking care of your car, treat it to a coat of Original Wax. Taking a couple of hours to apply, this quality paste wax is for the devoted car enthusiast with plenty of time to spend maintaining their wheels. Original Wax contains a high level of pure carnauba, so it’s great for getting guaranteed shine and protection. If you’re not able to use Original Wax or need to save time, try Carnauba Liquid Wax. This product is water-based, meaning it’s much easier to use and can be applied to large areas without buffing. The good thing about liquid wax is that it offers great durability, shine and protection while being easy to remove, so you don’t have to worry about white marks. It should take around 40 minutes to apply to a small car, but you will need to re-apply every few months. We get that ease and convenience are important to a lot of motorists who want to take care of their car with minimal fuss. That’s why we came up with Carnauba Speed Wax, our easiest wax to apply. This aqua wax can be applied to a clean, wet car with a sponge, before you rinse and dry as normal. Because it contains carnauba, you get great protection and shine and all in the same time it takes to wash your car. We’d recommend applying every other wash for the best results. If you like to keep your car looking its best between washes, we’d recommend a detailer wax like Quickshine. This spray-trigger product lets you top up the shine and protection of your car’s wax layer between washes and waxes, so the paintwork keeps its glossy, showroom look. The product itself contains carnauba, which protects the paintwork and restores the factory shine between washes and can be applied in a matter of minutes thanks to the spray formula. Use as and when needed to refresh your car’s look for guaranteed shine. Is your car showing signs of age? Swirl marks and faint cosmetic wear can ruin a car’s appearance, so what you need is Diamond Wax & Polish. Like Carnauba Liquid Wax, this product is water-based, making it easy to use and apply. However, as it contains fine abrasives it’s great for removing swirl marks and other light marks from paint, which a conventional wax couldn’t budge. Re-apply a few times a year for the best results. 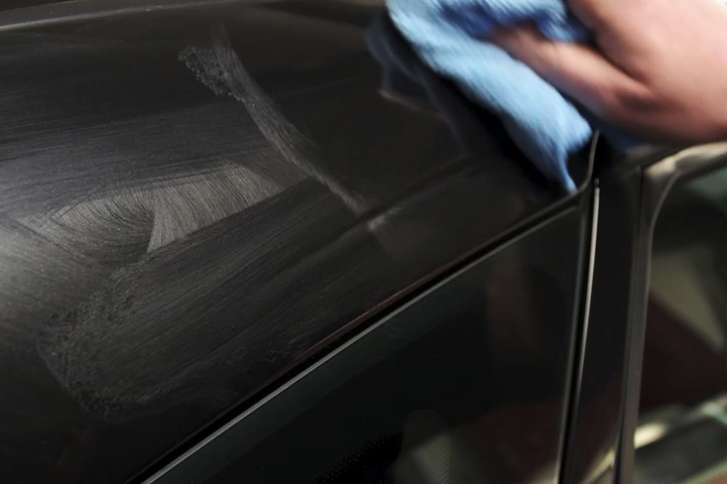 If your car’s paintwork is faded or marked, try Universal Colour Restorer. It contains no wax or silicone, and is great for removing micro scratches, swirls and marks from the paintwork to give you a smooth surface to apply wax to.. Unlike Diamond Wax, Colour Restorer can remove heavy swirling, light scratches and marks – great if you want to give your old car a paintwork uplift. No matter which type of wax you choose, there are things you can do to get the most out of the product and ensure a great finish for your car. For newer cars, we’d recommend using either Original Wax or Carnauba Liquid wax, to give your car that quality and durable carnauba protection. As both of these waxes are long-lasting and need only a few applications each year, use Quickshine Detailer Wax or Carnauba Speed Wax after washing to keep the gloss level high. 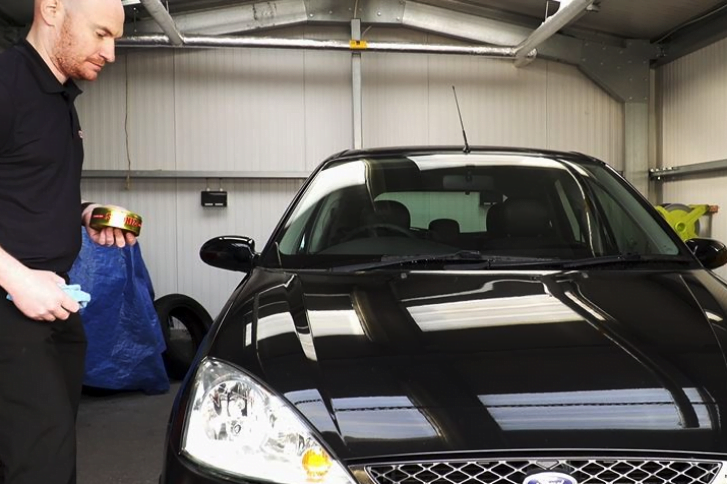 For an older car with tired paintwork, use Universal Colour Restorer followed by either Carnauba Liquid Wax or Original Wax for maximum effect. If the paintwork is not too badly swirled, Diamond Wax can be used instead of the Universal Colour Restorer and the Carnauba Liquid Wax. The shine can then be topped up after washing with Quickshine Detailer Wax. Remember, it’s always best to use a smooth circular motion when waxing, as this gives the best protection and ensures no areas are missed. Always use a good quality cloth and apply wax to a clean, dry car for the best results. 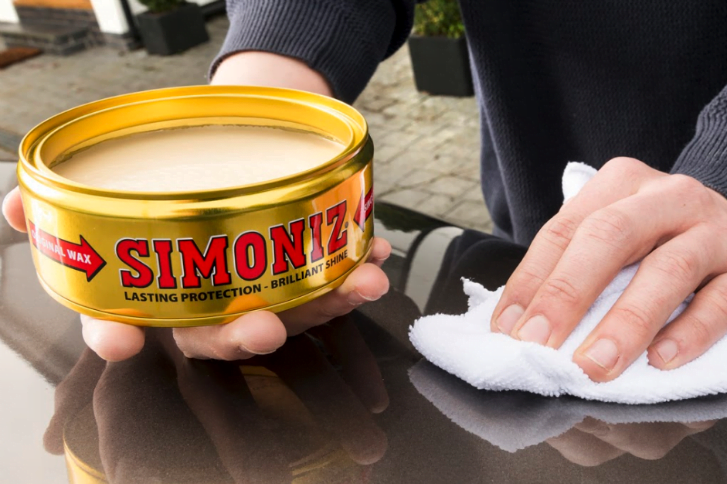 At Simoniz, our tried and tested car care range helps you get the results you want, so for guaranteed shine all year round. Explore our products by visiting the homepage today.